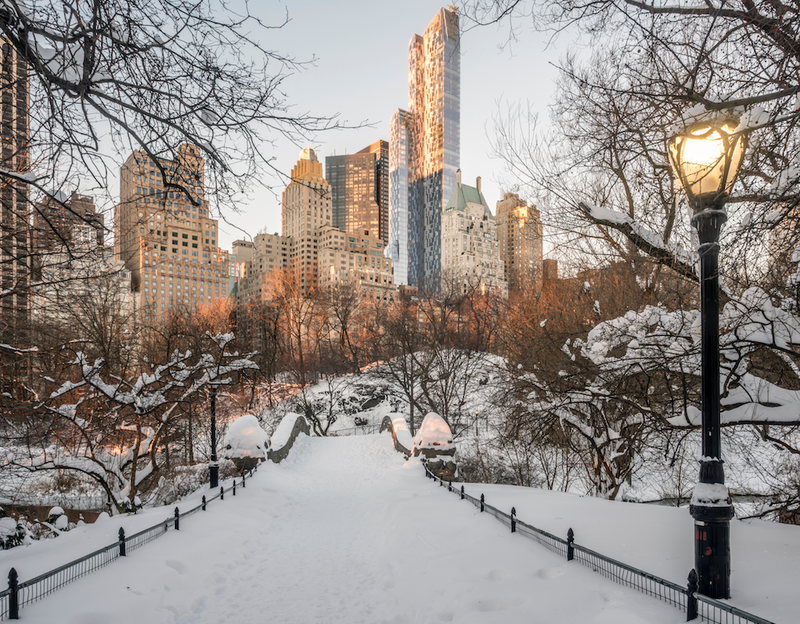 New York City's Central Park’s iconic cast iron lampposts, which are more than 100 years old, have been hiding a navigational secret only recently discovered according to The New York Post. The 1,600 cast iron lampposts which have been scattered across the park since the early 20th century have an ingenious coding system which acts as a built-in navigation system; the lamps hold the key to finding your way should you be lost through the park's 843 acres. Presently the park attracts 40 million visitors per year. It's almost as though designer Henry Bacon, even back in 1907 when he designed the posts, knew that Google maps and navigational technology would be revolutionary, albeit not quite foolproof; one could easily get lost in the massive expanse of Central Park, particularly if you've run out of smartphone battery. Each of the Park's lampposts are fitted with a set of numbers at the base of the post. The first two or three numbers indicate the closest cross street, and the last number indicates what side of town you’re closest to. An odd number indicates you’re on the west side, and even means east. The lampposts were designed by Henry Bacon in 1907, and the numbers he added are a clever trick to keep in mind while walking through the park. The design has been replicated all over the US. On July 21, 1853, the New York State Legislature enacted into law the setting aside of more than 750 acres of land central to Manhattan Island to create America's first major landscaped public park; they would soon refer to it as "the Central Park." Frederick Law Olmsted and Calvert Vaux, the winners of the 1858 design competition for Central Park, along with other socially conscious reformers understood that the creation of a great public park would improve public health and contribute greatly to the formation of a civil society. 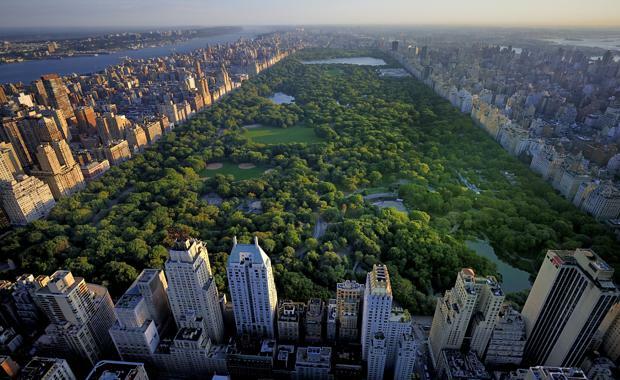 Immediately, the success of Central Park fostered the urban park movement, one of the great hallmarks of democracy of nineteenth century America. Frederick Law Olmsted and Calvert Vaux, who designed the park through the 1850s and 1860s, did not believe that it should be lighted so as not to encourage evening visitors. But in the early 20th century, planners became convinced of the relationship between lighting and security, and, with the advent of electricity, lights were installed in the park. Half a century later, during the administration of Mayor John V. Lindsay, many nighttime events were scheduled in Central Park to support the administration's contention that the more people who used the park at night, the safer it would become. Approximately 100 historic, cast-iron lampposts are known to survive in the City of New York. The earliest, dating from the mid-nineteenth century, are two gas lampposts. Electric lights first appeared in 1880, on Broadway. The first installation of truly ornamental electrified cast-iron posts occurred on Fifth Avenue in 1892. Henry Bacon was the New York architect who designed the Lincoln Memorial, which stands at the west end of the National Mall as a neoclassical tribute to the 16th President of the United States. The construction of the memorial took eight years to complete, from 1914-1922. Bacon had spent several years of study in Europe and had grown very fond of the architecture found in ancient Greece. He decided to incorporate that style into his design for the Lincoln Memorial. His true inspiration was the Athenian temple known as the Parthenon. What better way existed to remember a man who struggled to defend democracy, than to model his tribute after one found in the birthplace of democracy?Bacon insisted on using a variety of stones in the construction of the memorial. The granite at the terrace level came from Massachusetts, the marble of the upper steps and outside façade came from Colorado, while the pink marble floor of the chamber came from Tennessee. One will notice the Indiana limestone on the interior walls and columns of the chamber, and the Alabama marble used for the ceiling tiles (soaked in paraffin to give them a translucent appearance). The statue of Lincoln was carved from Georgia marble. These stones from several parts of the United States, symbolize the importance of the Union to Lincoln.